Showcase your ethnic roots by draping this piece of ethnic treasure detailed with embroidered patch work & lace border. 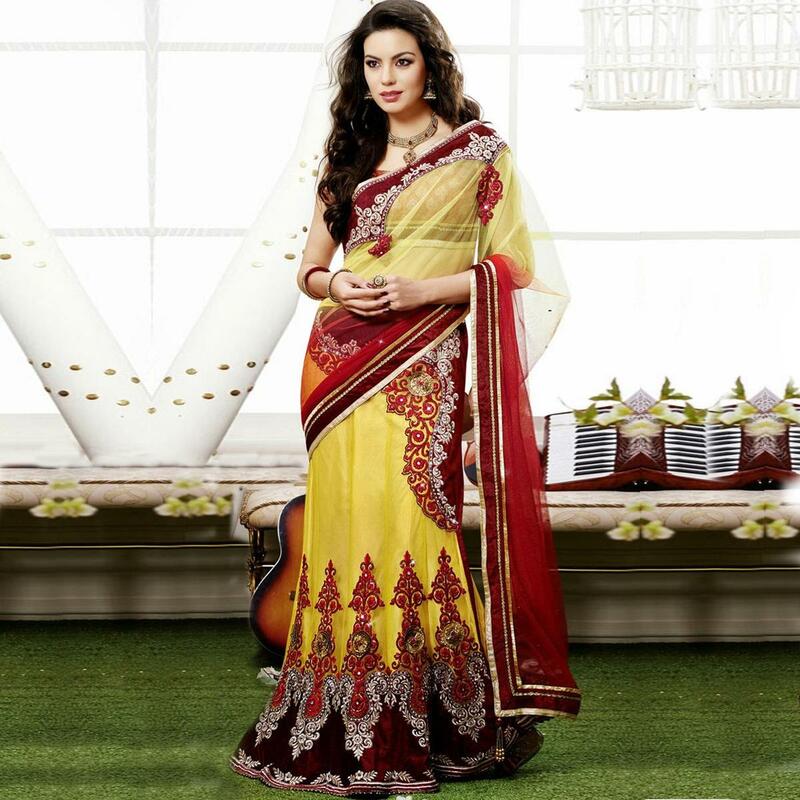 This saree is a perfect choice to wear for parties, functions & festival. Saree comes along with an unstitched red blouse.